Kia showcased the SP Signature concept at the Seoul Motor Show recently. The vehicle is still in concept stage, but the SP Signature gets many production-ready design elements that will likely appear on the production version of the SUV too. Here is a video that shows the Kia SP Signature closely from all around. 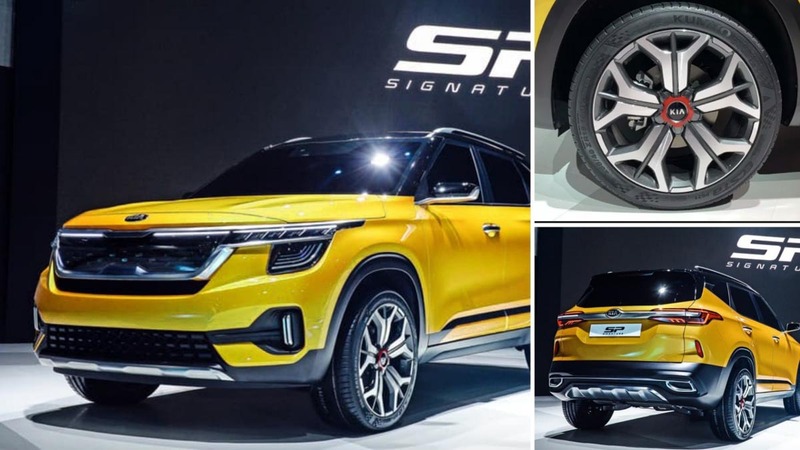 The Kia SP Signature gets a toned-down design, which is the way most production models take from their journey from being a concept version to reaching shop floors. The SP Signature gets toned-down shoulder creases, pull-in type door handles and a realistic window line that merges into the D-pillar smoothly. The front-end of the Kia SP Signature looks quite similar to the SP Concept that made its debut at 2018 Auto Expo. However, Kia has updated the headlamp housing and has made it smaller, and even the design elements on the front bumper have been updated. The front-end still looks very futuristic though and may look entirely different in the production guise. At the rear, the SP Signature concept gets sleek tail lamps with a thick chrome bar partially intersecting both the lights. The exhaust tips are integrated into the bumper itself. While the SP Signature may closer to the production version, it gives a fair idea of what the production version will look like. Kia has said that the design language of the SP Signature concept will inspire a lot of upcoming Kia models. 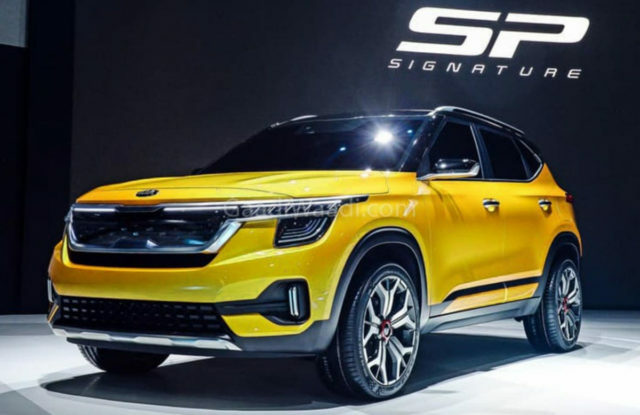 The Kia SP2i, which is the codename of the vehicle will be based on a modified version of the Hyundai Creta’s platform, but it will be positioned slightly higher than the popular mid-size SUV in the Indian market. 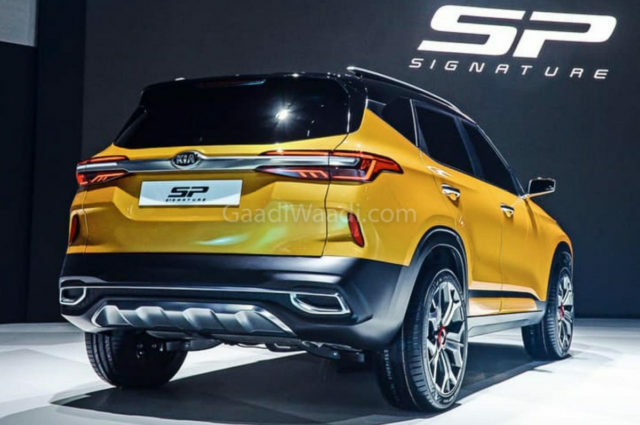 Earlier, spy pictures of the camouflaged Kia SP2i revealed that the upcoming SUV will get full-LED headlamps and disc brakes on all four wheels. Kia is likely to offer features like 360-degree camera, wireless charging, sunroof, fully digital instrument cluster, and even an eSIM in the upcoming car to set high standards in the segment. The car will be launched later this year and will be powered by both petrol and diesel engine options.